FILE PHOTO: Republican state Representative Thomas Murt. “We don’t copy and paste legislation. I’ve never done that." Bobby Allyn covers courts, criminal justice and breaking news for WHYY. Before coming to Philadelphia, he was in Nashville, where he wrote about legal issues and urban change for regional and national newspapers. He spent his last year there as a reporter for Nashville Public Radio. Before that, he was a staff writer covering federal courts for the Tennessean. His stories have been heard on NPR’s Morning Edition, All Things Considered and other shows. Bobby grew up near Wilkes-Barre, a small blue-collar town in Northeastern Pennsylvania. He is a first-generation college graduate who studied philosophy and journalism at American University in Washington. At other points in life, he has lived and worked in Brooklyn, Portland, Ore. and Sweden. He enjoys bike commuting and black coffee. (Harrisburg) — A state representative attached his name to more bills written by special interest groups than any other state lawmaker in the country, according to a new report. USA Today examined 10,000 proposed state laws to spot so-called copycat bills, often drafted by industry lobbyists and pushed to lawmakers. 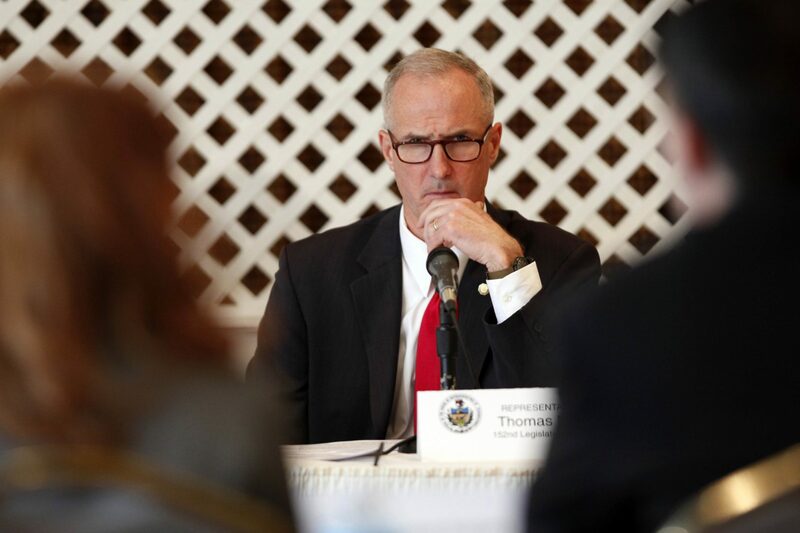 The lawmaker who has endorsed more copycat bills than any other in the nation is State Rep. Tom Murt, R-Montgomery, the newspaper found. Over a nine-year period, Murt reportedly co-sponsored 71 bills and was the lead sponsor on one bill that contained language that appears to be lifted from legislation pushed by interest groups in other states. In an interview, Murt said those bills represent just 1 percent of all bills he’s ever backed, adding that he would never sponsor a bill solely because it was being advocated by a special interest group. USA Today analyzed thousands of bills that had long strings of common text between them using a complicated algorithm. The paper found that most of the model bills were pushed by corporations and conservative groups. But a database of all the copycat bills is not publicly available, nor did the paper outline the contents of the 72 Murt-related bills in question. “I know right from wrong, and I know good policy from bad policy. Does it really matter if it’s law in Wyoming?” Murt said. Without being presented with a list of bills the paper found to be copycat efforts, Murt said, it is hard to determine what is meant by a law pushed by special interests. Shown is the Pennsylvania Capitol building in Pa., Harrisburg, Tuesday, Jan. 15, 2019. Good ideas for new laws, Murt said, come just as often from fellow lawmakers and constituents as they do from corporate lobbyists. 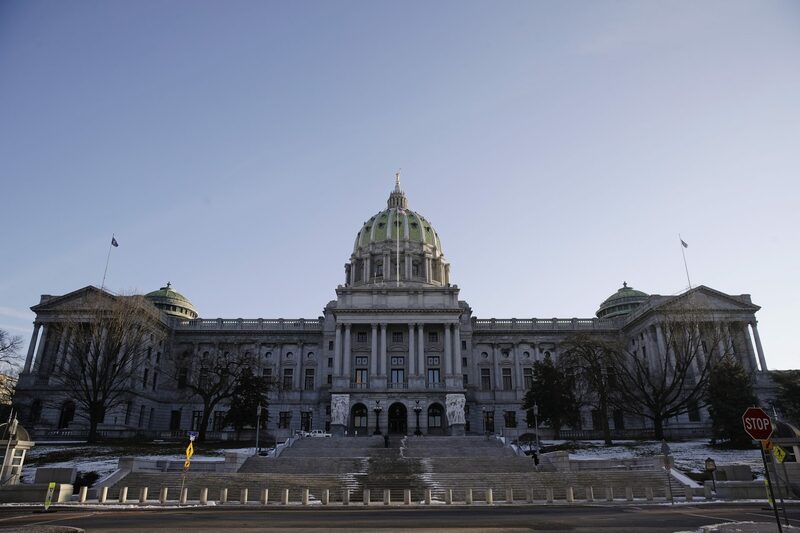 Micah Sims, the executive director of the government watchdog group Common Cause Pennsylvania, said model bills undermine the democratic process by taking voters out of the equation. “This is a government for the people, by the people, of the people. If you’re just going to boilerplate stuff, where are the people engaged?” Sims said. Speaking of Murt specifically, Sims said that 1 percent a lawmaker’s co-sponsorship record should not cause much concern. But Sims said there will likely be a worthwhile upside to the new attention directed at Murt. “He’s probably going to be a little bit more careful about where legislation is coming from moving forward,” he said.